Gravy For The Brain is an online voiceover education resource that gives you everything you need to build a career in voiceover. Gravy For The Brain is interested in doing more than any other VO course has ever done before. They don’t want to just teach you the basics of VO, they want to teach you everything about VO. They don’t want to just teach you about the business, they want to teach you how to run your own business. They don’t want to just give you a VO course, they want to give you a VO career. Gravy For The Brain gives its members access to 16 courses and hundreds of webinars which focus on unique aspects of the voiceover industry. 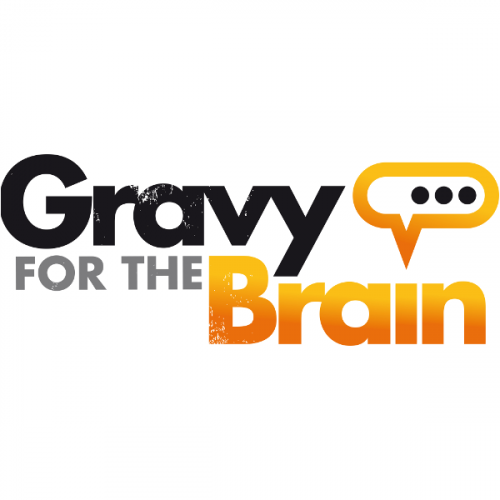 Gravy For The Brain also gives its members access to each other’s expertise, hosting forums that allow members to share their knowledge and attend live mentoring sessions hosted by professional voiceover workers. Gravy For The Brain also comes with dozens of unique features that allow voice artists to manage their clients, agents and get jobs in the industry which allow them to live their VO dreams. You can get all of this as part of a monthly membership that you can cancel at any time. And even better, all of this can be tried out for 12 days absolutely free, before you decide to make your first payment.